Fellowship Program Accepting Applications for an Agricultural Education Division Fellow! An informational session on the background of the National Teach Ag Campaign, causes of the agriculture teacher demand, current supply status, and what has been successful in addressing the talent needs of agricultural education, while identifying future strategies. Designed for those preparing for National FFA Office in October. Click here for more information and to register. NAPTP is committed to promoting inquiry-based teaching methods and the enhancement of science in agriculture to preservice teachers in agricultural education across the nation. This fall, preservice teachers can apply to attend an interactive hands-on agriscience training program at the 2018 National FFA Convention in Indianapolis, Indiana. Selected participants will be challenged to develop inquiry-based lessons to use during their student teaching experience, as well as when they enter the teaching profession. Click here for more information and to apply by September 24th! Presented by Zoetis, the Veterinarians on Call YouTube channel features real-life vets doing a variety of tasks. This week, Dr. Groves works with family farmers in central Missouri to vaccinate their calves and cows, demonstrating how they herd their animals gently with low stress. Click here to watch the video. Labor Day signifies the start of school in many parts of the county. Many students eagerly anticipate the start of a new school year. Click here to read more from Friday Footnotes. Click here to access the application and to find out more information on the responsibilities and duties of a volunteer. The deadline to apply is midnight EDT on Monday, Sept. 10, 2018. Mark your calendars now for the next AgExplorer Virtual Field Trip! The National FFA Organization and Discovery Education will broadcast live from Tractor Supply Company’s Merchandising Innovation Center in Nashville, Tenn. Join us Tuesday, Sept. 25 at 1 p.m. EDT and give your students an inside look into the world of agriculture and the careers that develop, market, distribute and provide the products you use every day. Students will see a variety of highly skilled careers involved in consumer product marketing and sales and also learn about key economic concepts—such as supply and demand and prices and profits—and observe how these function in a market economy. To register, visit AgExplorer.com. Teachers can download the free, standards-aligned companion educator guide to help engage students in the virtual field trip. Be sure to join our Twitter Chat during the virtual field trip by following @NationalFFA and @DiscoveryEd and using #AgExplorerVFT. Keeping your local FFA Alumni and Supporters profile up-to-date is extremely important as this is where your leadership contacts are pulled from. Please keep your officers listed under contacts on your profile page, so that we can communicate with the correct and most current individuals. Chapter leaders can access your chapter profile through their dashboard. 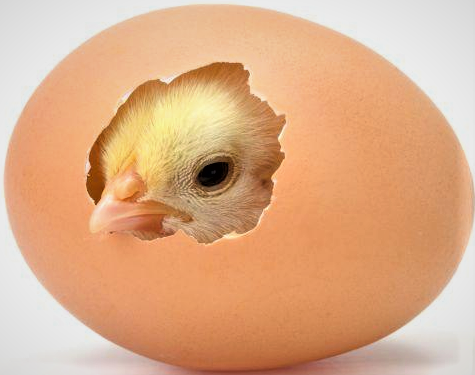 Stress on the mother hen affects the chick in the shell. Friday, Sept. 7, 2018: Science, ag education, and communication. Research about crops, pigs, cattle, and newborn chicks. Farm legislation and the antics of kids in the kitchen--these and many more ag/science stories in this week’s edition.